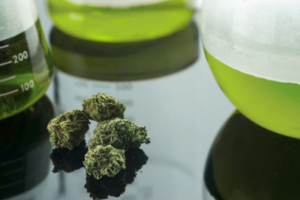 Cannabis Preclinical Pharmacology and Toxicology - Blog – Comparative Biosciences, Inc.Blog – Comparative Biosciences, Inc.
Assessment of Cannabis Products for Purity, Effectiveness and Safety. Now that medical cannabis has achieved some degree of legality and public acceptability, Cannabis Products are becoming a serious industry, particularly in California. Comparative Biosciences Inc. offers an initial package of purity, efficacy and safety assessments on Cannabis Products. 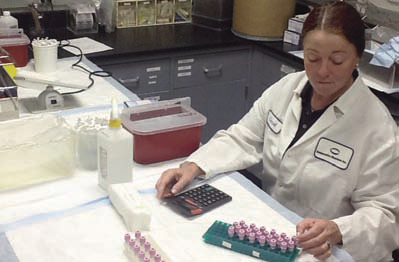 Our unique scientific and toxicologic capabilities facilitate assisting our clients in determining the quality, effectiveness and safety of their cannabis products. Comparative Biosciences, Inc. is now offering a scientific program to facilitate the evaluation of cannabis products in order to assess the purity of the product as well as the tolerability, safety and possible efficacy of the product. We have developed a package that contains series of in vitro assays, rodent toxicity, and bioanalytical assays specially designed to initially evaluate cannabis products prior to making claims or to support patents. This would be for initial assessment of the product. Follow on studies to do a further deep dive into the longer term efficacy and safety would then be customized for the individual projects. While there are now three medical cannabinoids that have been approved by the FDA, these are synthetic medications and not natural plant products and are being sold as prescription items. Marinol and Syndros include the active ingredient dronabinol, a synthetic delta-9- tetrahydrocannabinol (THC). Cesamet includes the active ingredient nabilone, which is synthetically derived and has a chemical structure similar to THC. While these synthetic drugs are afforded cultural and medical legitimacy, as well as tax breaks and open market privileges, cannabis users and manufacturers of cannabis-based products still risk legal issues and social marginalization. The FDA is aware that cannabis and cannabis-derived products are being used for a number of medical conditions, such as high blood pressure, hyperglycemia, glaucoma, AIDS wasting syndrome, epilepsy, neuropathic pain, treatment of spasticity associated with multiple sclerosis, and cancer and chemotherapy-induced nausea. However, the FDA has not yet approved a marketing application for a drug product containing or derived from the whole cannabis plant. It is not clear if any natural plant product will ever be approved by the FDA for various, and legitimate reasons. In order to support medical claims and FDA approval, and IND and an NDA would be needed in order to the FDA to evaluate such a product, which is a long, arduous and expensive process. Contact us to discuss a scientific study program to facilitate the evaluation of all cannabis products.